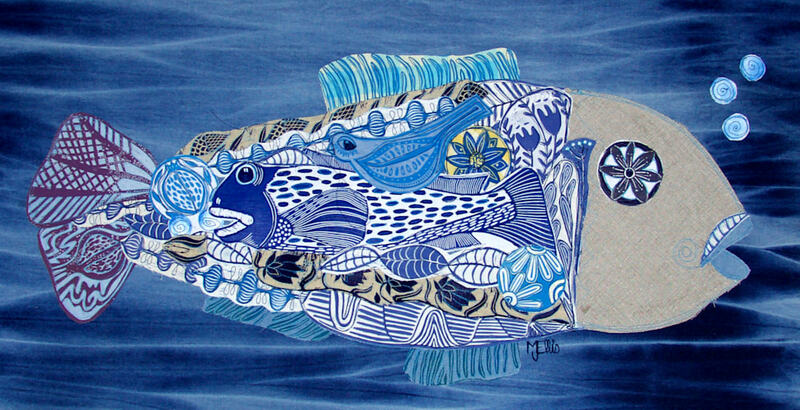 a large linocut collage on shibori dyed denim, all textiles with my own linocuts. One of a kind. 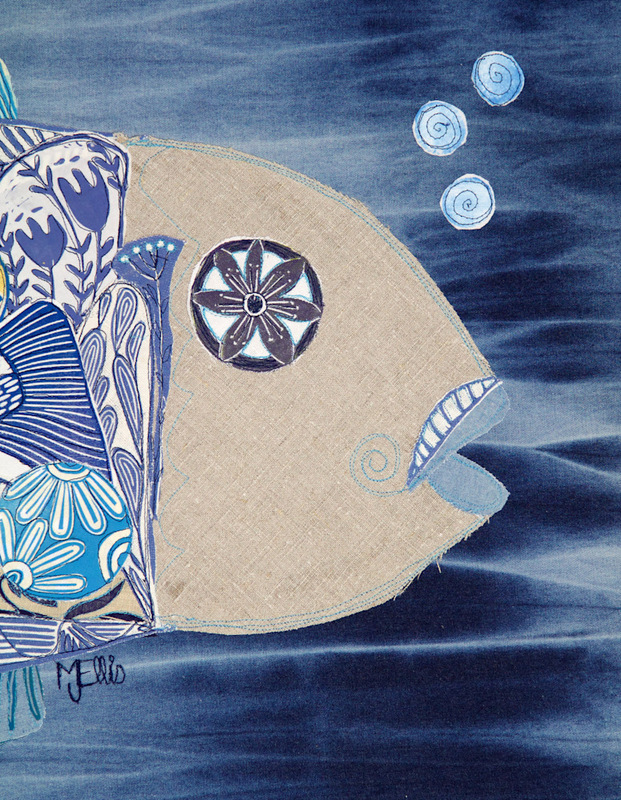 When I found this piece of Shibori dyed denim (in my mums wardrobe ;o)) I knew straight away what I wanted to do with it........ the ocean and all that lives in it is such a source of inspiration to me, and this guy, he is just enormous in his own world, a king of the deep. 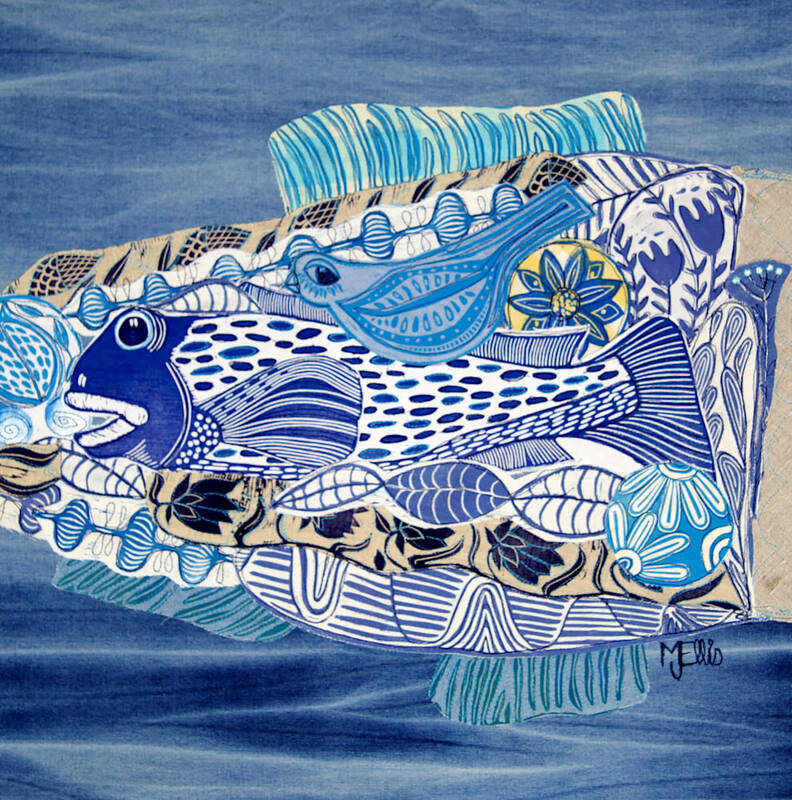 This is a textile linocut collage, on a gorgeous 100% cotton shibori dyed denim, I have added different fabrics, all printed with my own linocuts including the fish, that is, all the patterns etc are made by me. 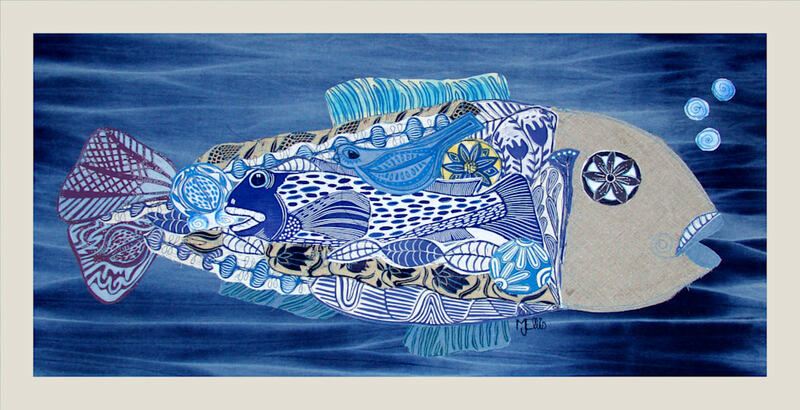 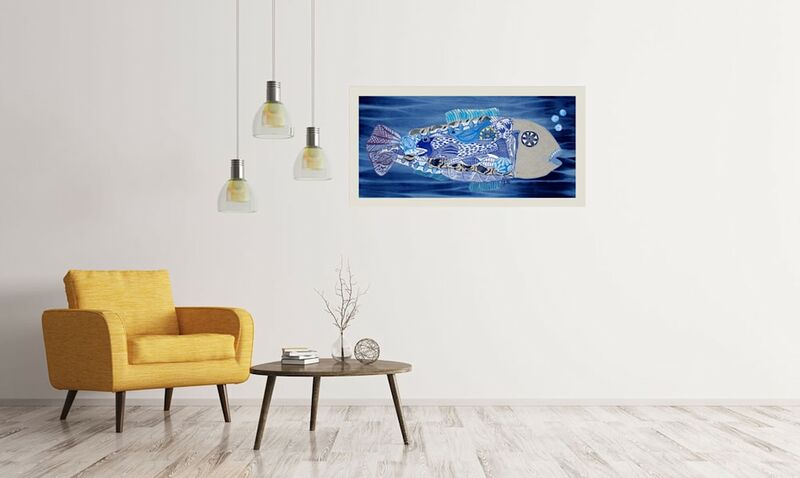 I have freehand embroidered over the flowers and the fish head quite extensively, mostly with turquoise and blue thread to enhance the collage. 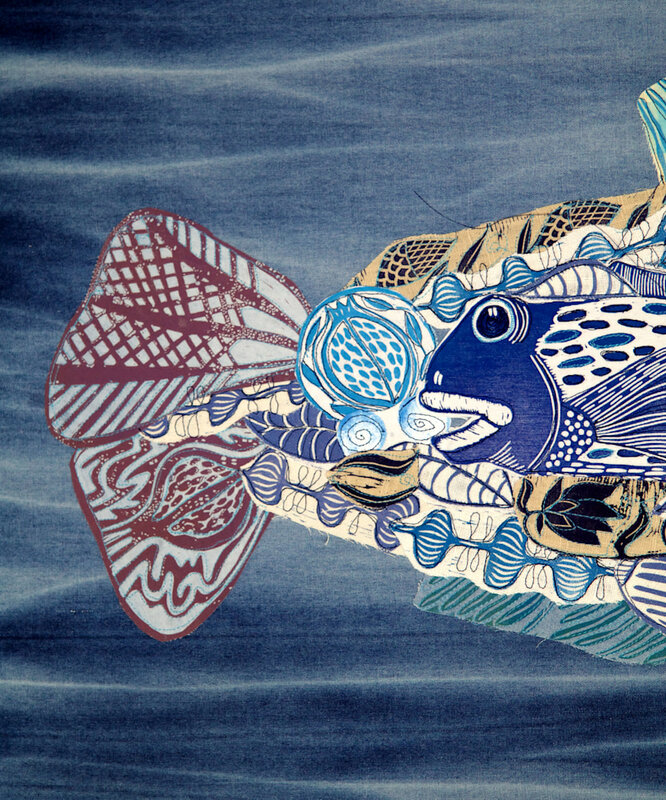 The collage measures 19" x 35" ( 48 cm x 90 cm) I have intended for this collage to be framed behind glass to protect the textiles.